Coach Vance Joseph discusses his transition to Head Coach. Who will be the starting quarterback for 2017? How is Running Back CJ Anderson's recovery progressing? Coach Mike McCoy discussing his return to coaching in Denver. 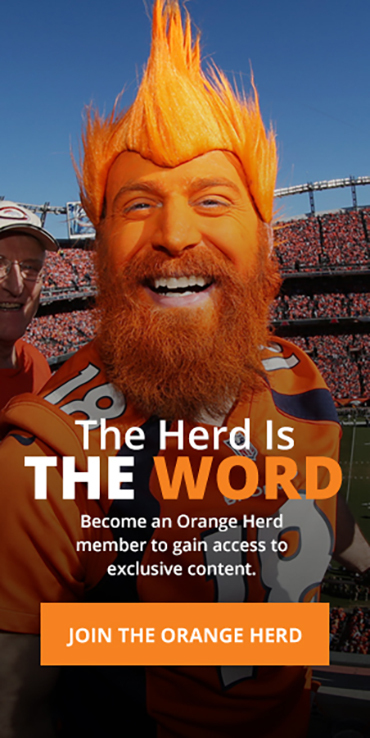 The Denver Broncos hosted this live, exclusive event for season ticket holders and Orange Herd members. The call featured new Head Coach Vance Joseph, Offensive Coordinator Mike McCoy, Defensive Coordinator Joe Woods and Special Teams Coordinator Brock Olivo. Coach Joseph expressed his excitement in transitioning to the Head Coach of the Denver Broncos. Participants welcomed him warmly and inquired about recent acquisitions, free agency and draft options. Coach Joseph discussed the importance of culture, his ability to connect with players, and the queried quarterback situation. Coach Mike McCoy discussed his return to Denver and plans for an explosive and aggressive offense in the upcoming season. The coaches also discussed the retirement of DeMarcus Ware and his legacy as a leader. Each coach also conveyed their appreciation for the devotion and passion of Bronco fans.